FP600S is the ultimate fire resistant, armored cable for power and control of emergency, life safety and fighting systems used in buildings. FP600S has been designed and developed for the toughest British Standard fire test for cables, BS8491 F120. It meets or exceeds the fire resistance requirements of Category 1,2 and 3 which makes it suitable for power and control circuits as defined in BS8519:2010. 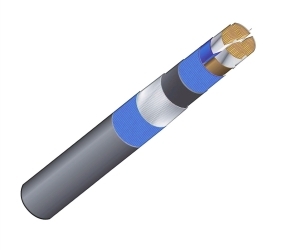 The cable is featured on the LU - Approved Products Register approved by London Underground meeting the criteria for LU 1-085 and is suitable for use in section 12 (underground and surface) applications.